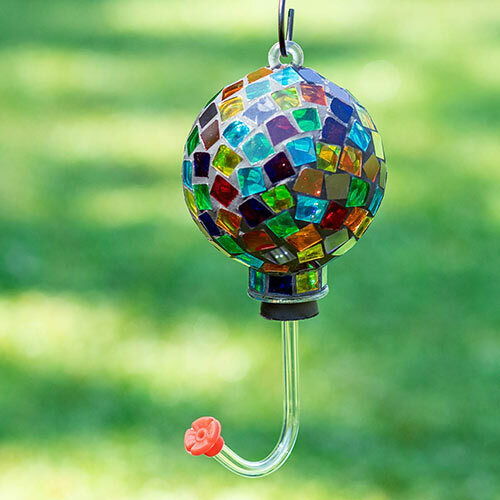 Made of colourful mosaic glass that attracts hummers, so there's no need to add red food dye to your homemade nectar recipe of water and cane sugar. Holds 12 fluid ounces. Comes with a 7 cm S-hook on top for effortless hanging. Stopper is easily removed for cleaning and filling.